July 18, 2012 by Ken Ward Jr.
Three new scientific reports (See here, here and here) have begun to answer questions about how mountaintop removal mining could play a role in higher levels of illnesses among residents in the Appalachian coalfields. Researchers have found higher levels of certain types and sizes of pollution particles in communities near mountaintop removal sites, and also believe they’ve identified one potential mechanism for that pollution impacting public health. The findings, presented at recent academic conferences, add to the results of nearly two dozen West Virginia University papers that found higher levels of health problems — including cancer and birth defects — among residents living in the shadow of large-scale surface coal mining. 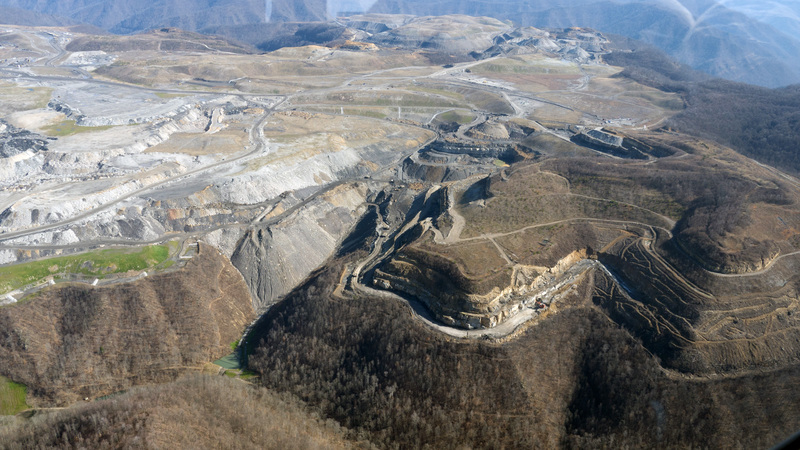 “It moves beyond the epidemiological data to examine what the real environmental conditions are in the communities where people live near mountaintop removal operations,” said WVU researcher Michael Hendryx, who co-authored the previous papers and the new reports. As our story made clear, these new studies have not yet been published in peer-reviewed journals, but have been presented at academic conferences and are in the pipeline for publication. These are, though, exactly the sorts of investigations that WVU’s Michael Hendryx has made clear are needed to follow up on and explain his findings that folks who live near mountaintop removal mining are at greater risk of serious health problems, including cancer and birth defects. So far, I haven’t seen any other local or regional coverage of these studies. You have to wonder if the Daily Mail will finally get around to doing news coverage of the mountaintop removal-public health studies as part of its new series on cancer, or if the editors across the hall are content to instead just let the coal industry provide readers with silly commentary on the subject. Scientific research is now providing evidence that mountaintop removal is the cause for these increased illnesses and deaths. While the studies to date are incredibly compelling, and reason for serious public health concerns, these latest (and still unpublished) papers are just beginning to dig into questions that might, with even more research, get to the issue of causation. We’ve discussed here before my own concerns about how activists overplay the findings of these papers. The coal industry, of course, wants to pretend the papers don’t exist, fund research aimed at trying to discredit them (see here, here and here), or raise outlandish claims that if there is any problem, it’s all because we’re a bunk of inbred hicks. Interestingly enough, there are two new items out in this month’s edition of the Journal of Occupational and Environmental Medicine. Remember the National Mining Association-funded paper that criticized Michael Hendryx’s work (see here, here and here)? Well, the journal has now published a response from Dr. Hendryx and a reply to that from Jonathan Borak, the NMA-funded scientist. Interestingly, when the journal published the initial paper by Dr. Borak, it did not allow Dr. Hendryx to respond in the same issue. But when Dr. Hendryx does get to respond, the journal includes a reply in the same issue. Oddly enough, Dr. Borak is on the editorial board of this particular journal. But that’s probably just a coincidence, and is scientific inside baseball readers. UPDATED: Dr. Hendryx has posted a further response to Dr. Borak here. I have to say, I applaude the editors across the haul because they are trying to cover real news articles that matter to society in the surrounding area.